Welcome to another episode of the Green Rush! Anne is back in town and joining Lewis to chat with Adam Orens, the Founding Partner of the Marijuana Policy Group, one of the most respected economic and policy consulting firms, nationally recognized for its role in shaping regulated medical and recreational cannabis markets. Adam and our hosts have a fascinating discussion around some of the recent research coming out of the MPG, including a study on the size of the Canadian market, sponsored by Health Canada (hint: it’s big), and how Colorado is essentially erasing the black market (and what other states can do to take note). Adam also let’s us in on some clients that have surprised him and why. 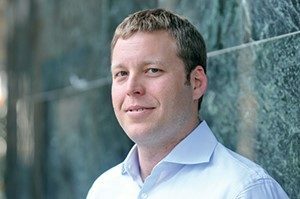 Adam Orens is a founding partner of the Marijuana Policy Group His areas of expertise include market analysis, public finance, and regional economic analysis. He also has experience in statistical analysis and consumer market research. Adam has completed numerous studies that analyze the relationships between markets, demographics and government policy. Adam received his undergraduate degree in economics from Rutgers University and has a master’s degree in agricultural and resource economics from Colorado State University. Adam’s demographic and economic research related to the emerging cannabis market has been cited by the New York Times, 60 Minutes, the Washington Post, the Wall Street Journal and the Huffington Post. His recent studies in Colorado, Alaska, Illinois, Maryland, and Vermont have examined many facets of medical and recreational cannabis markets, including providing estimates of cannabis market size; annual cannabis consumption by residents, tourists and patients; cannabis tax revenue projections; and market supply channels. Adam was a lead author of the Colorado Marijuana Enforcement Division 2014 Market Size and Demand report and continues to provide consulting services to the MED and private interests nationwide.